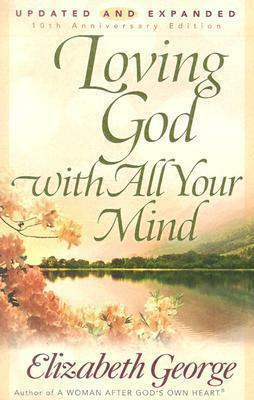 Elizabeth George says there are three things we must do with Scripture that will help us love God with all our minds. As you study ask yourself some questions. Who is writing this verse? To whom are they writing? What is the verse saying? When was it written and what was going on during this time? We must apply the scripture we study in order to have it transform our lives. However, be careful to study first then apply. Medititate on the scripture you choose. Think on it – word by word, phrase by phrase. Memorize it. Write it on an index card and go for it. Now, how do you need to apply the truth of the verse to your life. Is there a command you need to obey? Is there knowledge you need to capture? Is there something you need to change in life? As you study the verse on purpose ask God to reveal your purpose to you. Ask for eyes to see and ears to hear. Studying Scripture is a wonderful way to allow the Spirit of God to speak to you.